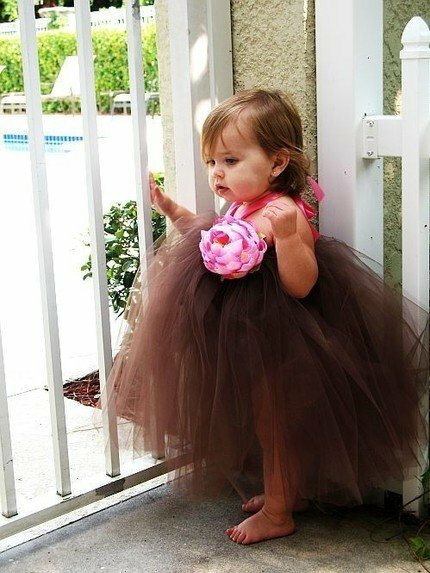 This beautiful brown halter tutu dress has a hot pink satin halter and a pink peony flower. All of this talented designers TuTu dresses grow with your princess! Once they are too small to wear as a dress take off the halter ribbon and you have a tutu! Questions? Comments? Customer Service can help!